Followed by reception and book signing. John Cary is the first President & CEO of Next American City, a nonprofit organization dedicated to promoting socially and environmentally sustainable economic growth in America’s cities and examining how and why our built environment, economy, society and culture are changing. For over six years, John served as the executive director of Public Architecture, a San Francisco–based public-interest design organization known for its pro bono 1% program which pairs nonprofits with firms ready to donate design services. Since launching in 2005, the program grew under Cary’s leadership to include more than 750 participating firms pledging tens of millions of dollars in pro bono design services annually. 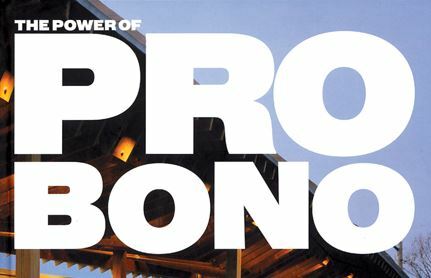 John is the editor of The Power of Pro Bono: 40 Stories about Design for the Public Good by Architects and Their Clients, published in Fall 2010 by Metropolis Books / Distributed Art Publishers. With a foreword by MacArthur Fellow Majora Carter and a preface by Public Architecture founder, John Peterson, the Pentagram-designed volume features 40 projects and presents both nonprofit clients’ and designers’ perspectives. John is also a senior fellow of the Design Futures Council, a fellow of the American Academy in Rome, and recently held the Public Affairs Practitioner Residency at the Rockefeller Foundation’s Bellagio Center.